Common bean (Phaseolus vulgaris L.), besides being an agricultural product that can be consumed as fresh vegetable, is a significant legume widely being planted in both Turkey and world. Because of having different usage areas, it is being considered as a valuable plant for human nutrition, trade and in many respects. 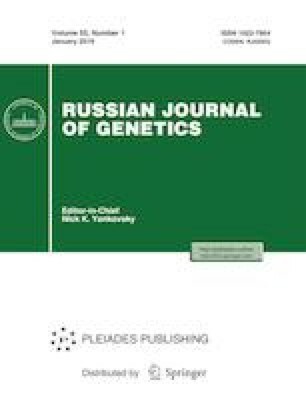 In this study, we aimed at genetically characterization of the local and registered common bean genotypes and population structure of genotype groups belong to these common bean genotypes in Turkey. For this purpose, total 102 common bean genotypes including 93 local genotypes from 8 provinces, 7 cultivars and 2 reference cultivars were analyzed by 13 fluorescent SSR markers. As the result of the study, it was determined that the total SSR allele number was 192 and the average allele number was 14.8. While it was found that there were no synonymous genotypes, the highest heterozygosity rate was determined in three loci. Factorial correspondence analysis partially demonstrated substructure among common bean genotype groups. Structure analysis showed the same results as the Nm values and the Fst values. In the study, it was observed that SSR markers could be easily used in the molecular studies of common bean germplasm. The obtained results will be able to be used at the conservation, utilization of local common bean genetic resources and at the marker assisted selection studyings.